Sometimes I wonder what more we would have learned about Lee Tae Kyun had G.O not been on tour with MBLAQ during the filming of the drama 유령 [Ghost] and the writers had more license to build his character. It is only speculation on my part, but if the Blaq% Asia Tour did not conflict with filming, we may have possibly received more back story on the Cyber Crime Unit’s resident computer programmer whiz Tae Kyun as well as been flooded with more episode screen time for blossoming actor, G.O. I won’t be greedy, however, for when your bias is a musician first and foremost, any screen time in a drama is good screen time. There are 687 more days remaining in G.O’s military service which translates here to 687 more posts. That said, like his other drama snippets that I have been sharing here, I am going to continue to share them piecemeal. Little clips and moments from the shows for as far as they will stretch over the next 687 days! For 유령 [Ghost], I want to start with one of the more intense moments G.O had on the screen and one he got to share with veteran actors So Ji Sub and Kwak Do Won. If an actor can make you believe he is suffering the emotion he has been called upon to interpret in a scene, then he has done his job well. 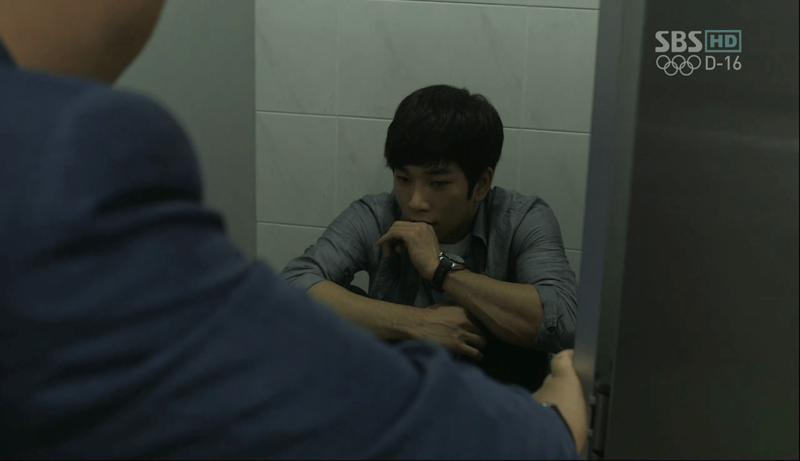 Here, Tae Kyun knows he is possibly being implicated in the death of a witness. One could easily surmise that it would not be usual behavior for a detective of an elite department of the police force to hide out in a bathroom stall when he knew he was innocent of any assumed wrongdoing whatsoever. Tae Kyun (along with the rest of his unit) were all reeling over the violent death of a fellow detective. A suspected witness to that crime was brought in for questioning and was being held in an interrogation room. Tae Kyun received the call that the witness was being brought there so he decided he was going to confront the witness, which was most probably against protocol (and perhaps even his own better judgment). Remember, Tae Kyun is a programmer on the force used to hack and decode computers for evidence. Even I know he should not be questioning witnesses! Nevertheless, he does and an unforeseen event occurs. The witness suffers some kind of seizure and dies. Fortunately, the entire event is caught on CCTV which ultimately exonerates Tae Kyun from any suspicion or implication in the witness’ death. For me, these scenes are believable. I believe that Tae Kyun would respond the way he did and believe G.O interpreted said response exceptionally well. I felt Tae Kyun’s fear. All of the elements were playing out through G.O perfectly. The trembling. The perspiration. The shaking, stuttering voice. And of course, his eyes. 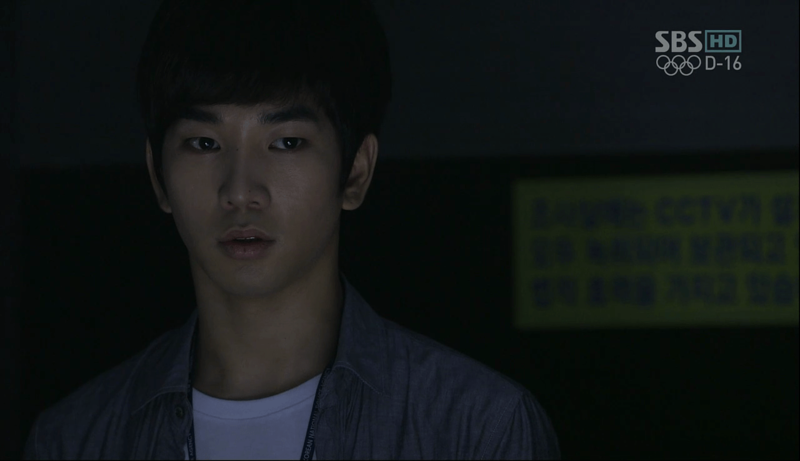 G.O’s ever interpretative and expressive eyes. Categories: G.O Military Discharge, MBLAQ Musings, The G.O Files | Tags: Actor G.O, G.O, G.O images, G.O's Military Service, 유령, Jung Byung Hee, Jung Byung Hee images, Korean Drama, Korean drama Ghost, Korean entertainment, Kwak Do Won, MBLAQ G.O, MBLAQ G.O images, So Ji Sub | Permalink.